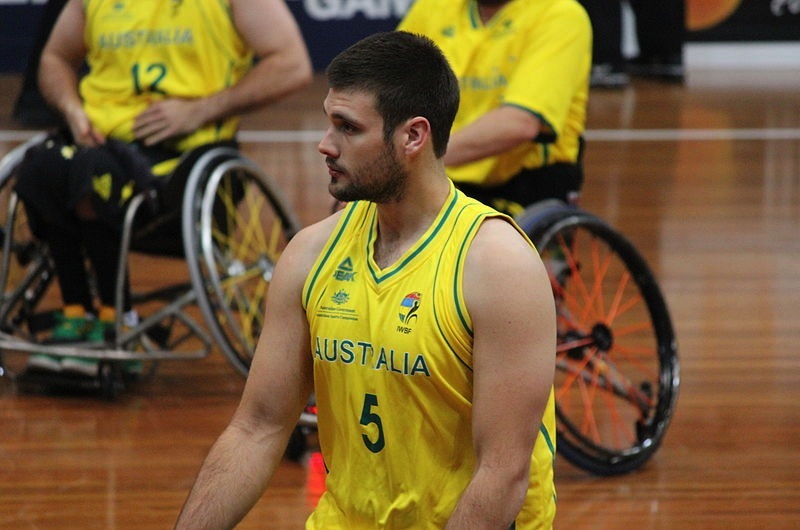 Bill playing for Australia in 2012On 29 August the Paralympic Games 2012 will open in London and among the athletes representing Australia will be basketball player and former Australian Air League cadet Bill Latham. After a tractor accident that occured when he was 5, Bill received injuries to both legs that saw him in Westmead Children’s Hospital intensive care for two months and confined to a wheelchair for the next six months. Following multiple operations over several years Bill learnt to walk with the aid of crutches, and in 1999 he joined the Coffs Harbour Squadron of the Australian Air League. During his time in the Australian Air League he joined in all of the activities the other cadets took part in, including gliding, flying and camps with lots of tumbles, leeches and a whole lot of fun. He would ask for no favours during his time in the Australian Air League, and when offered a car to drive him to the Cenotaph on ANZAC Day he politely declined, saying he would march with the rest of the cadets even with callipers on his legs. As well as being involved in the Air League, Bill also began swimming as part of his therapy. He soon began to excel at swimming and won too many medals and broken too many records to mention here, although some of the highlights include 5 gold medals and 4 new age records at the 2003 NSW State disabled titles, another gold medal at the 2004 Catholic Schools State and 5 NSW state age records at the 2005 Disable Sports Swim meet. Bill LathamSwimming wasn’t the only sport Bill was inolved in, he was Australian Junior Lawn bowls champion in 2003, as well as winning 3 gold medals at the 2003 State disabled titles for discus, javelin and shot-put. In 1999 he was also invited to play wheelchair basketball in a local team, and he unfortunately had to leave Air League due to the demands of sports and training. Around age 13, he was faced with a decision on operations that would see him out of sport for over a year with no guarantee of a successful outcome and after much discussion and with the support of his family and some of his fellow players in basketball he made the decision to amputate his leg. 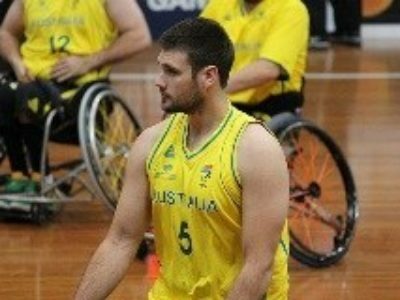 Pretty soon Bill began to shine as a wheelchair basketball player, playing in Junior National teams and later in the Australian Rollers mens team in 2006. He ceased swimming to concentrate on his basketball, just missing out on the 2008 Beijing team. In 2010 he was a part of the Australian team that won gold at the World Championships in Birmingham defeating France 79-69, and he was also contracted to play for Seville in the Spanish National League. This year he was selected as a part of Australia’s Paralympic team, possibly the highlight of his career. Bill faced many challenges having missed so much school due to operations and doctor appointments, being excluded from activities as he couldn’t keep up, and having people stare and ask questions about what was wrong with him. Bill has overcome these issues by focussing on his goals and and accepting his disbility and find the good things that come with it rather than the bad. Sports have offered him many opportunities that he might not otherwise have had including travel to England, Europe, Indonesia, New Zealand, the USA and Japan. eam bring back plenty of gold for Australia!